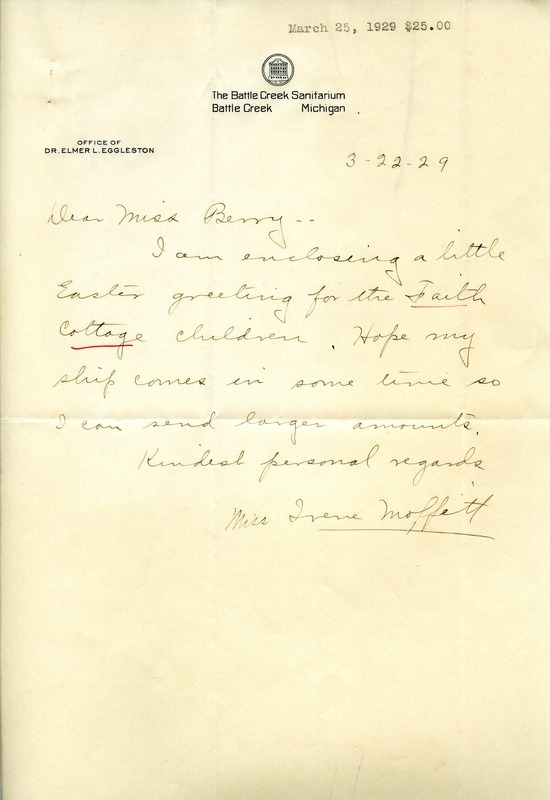 Miss Moffett sends an Easter greeting for the Faith Cottage children, and promises to send larger amounts when her ship comes in. Irene Moffett, “Letter to Miss Berry from Irene Moffett.” Martha Berry Digital Archive. Eds. Schlitz, Stephanie A., Chelsea Risley, Alan Henderson, et al. Mount Berry: Berry College, 2012. accessed April 18, 2019, https://mbda.berry.edu/items/show/10665.